Place the yellow peppers in a large pot and bring to a boil. Boil for 15 minutes, drain and peel the peppers. The skin should come off easily. 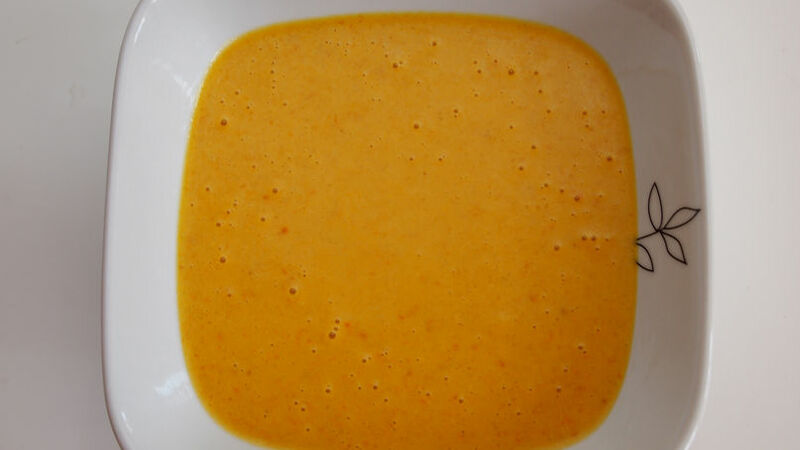 In a blender, put the peppers, oil, evaporated milk, crackers, fresh cheese and salt. Blend until the mixture becomes creamy and slightly thick. If the sauce is too thick, add more evaporated milk. Huancaína sauce can be served with rice, tequeños, potato chips, pita bread, on grilled tenderloin, with boiled or fried yuquitas, baked potatoes or corn. Another great way to enjoy huancaína sauce is to serve it with hard-boiled quail eggs. You can also use it on corn cakes, with pasta or risotto. In Peru, stories abound about the origins of this rich and creamy sauce. The truth is it has become one of our most emblematic sauces and is loved by all Peruvians, whether it’s simply used to drench a serving of potatoes or to dress a fine risotto. Whichever way you enjoy huancaína sauce, it’s always delicious and can be used in so many ways that I’m sure you will love it. It’s especially useful with vegetables or grilled meats, but take care not to leave it unrefrigerated for long, because the summer heat can spoil it quickly.